Director of Athletics John Wildhack is adding two members to his senior leadership team. Chris Fuller will join the Orange athletics department as deputy athletics director, external operations, and Kristen Jones Kolod will become the deputy athletics director and chief financial officer. Fuller’s responsibilities will include oversight for marketing, athletics ticket sales, communications and the Orange Club. Jones Kolod will have oversight for all aspects of the athletics department financial operation, including budget, long-term financial planning, working in partnership with appropriate groups to identify incremental revenue opportunities and monitor expenses, and will be the athletics department direct liaison with the University’s budget office. “Chris is recognized as one of the brightest and most creative leaders in Intercollegiate Athletics,” Wildhack says. “He will lead our external operations to further enhance our marketing efforts, engagement with donors in all respects and identify opportunities to grow our relationships and revenue. Fuller comes to Syracuse from the University of Tennessee where he has worked for the past 12 years in leadership roles in sales and marketing and external operations. 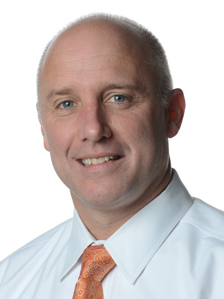 Since 2009, he has been the senior associate athletics director for external operations, responsible for all external operations of UT Athletics, including the Tennessee Fund Office, sales and marketing, ticket operations and broadcasting/VFL Films. Under Fuller’s leadership, the Tennessee Fund launched its $163 million Campaign for Comprehensive Excellence in 2013. The campaign made possible facility enhancements including Pat Summitt Plaza, the Joan Cronan Volleyball Center and the Ray & Lucy Hand Digital Studio, as well as a number of other significant upgrades. Fuller served as the primary liaison with IMG College/The Vol Network. He negotiated an extension of the University’s agreement with IMG through 2022, valued at $132.9 million. Additionally, Fuller was the university’s lead negotiator with several key corporate clients and has served on several coaching search committees, including football, men’s basketball, baseball, and track and field. Fuller recently spearheaded the fundraising, design and construction of the Ray & Lucy Hand Digital Studio, a state-of-the-art broadcasting facility. An active member of the Knoxville community, Fuller served as chair of the United Way Branding and Messaging Committee for the successful 2010 campaign, an effort that raised more than $12 million for the United Way of Greater Knoxville. He also played an integral role in the development of the OUTLIVE program that benefited the UT Cancer Institute and has been involved with the Leukemia & Lymphoma Society through its annual “Light the Night” Walk. Before his arrival at Tennessee, Fuller served as a consultant for the Mid-American Conference and previously as vice president of collegiate marketing for the Cleveland Cavaliers, with responsibility for the formation and operation of Gund Sports Marketing (GSM). GSM clients included the Mid-American Conference, Bowling Green State University, Miami University and the Rock ‘n Roll Shootout. He also served as director of business operations and university services for ACC Properties from 1995-99. In this role, he was responsible for the ACC’s official corporate partner program, championship events, licensing, event merchandising, publications and the official ACC website. Fuller began his career in collegiate athletics as the assistant sports marketing director at the University of North Carolina. He graduated from Shepherd College in 1988 (political science) and earned his master’s degree from West Virginia University (sports management) in 1992. He and his wife, Lori, were married in Knoxville in October 2005 and are the proud parents of two pugs, Rooney and Madigan. Jones Kolod moves to the athletics department from the Division of Student Affairs. Since 2008, she has served as the executive director of budget and administrative operations for that division. Prior to that, Jones Kolod served as director of budget and operations for Student Affairs. In her role as executive director, she was responsible for the preparation, planning and management of the Student Affairs’ budget and financial matters, including the functional supervision of all departmental managers. In this role, she also oversaw Student Affairs Technical Services and served as the divisional contact for facility projects, space planning and human resource processes. Jones Kolod has extensive experience in financial management and analysis, business process improvements and efficiencies, development and implementation of policies and procedures, and project management. As a member of the Student Affairs senior leadership team, she contributed to the organizational management, strategic direction and vision of the division. 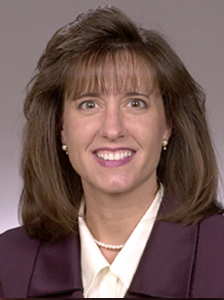 Prior to joining Syracuse University, Jones Kolod worked as the manager of financial planning and analysis for the Commercial Systems and Services Division of United Technologies Corp., where she was responsible for monthly forecasting and annual financial plans. Previous positions included the manager of finance and accounting services at Carrier Corp., North American operations, and manager of corporate payroll at the Penn Traffic Co.
Jones Kolod earned a bachelor of science degree in accounting and a masters of business administration, both from Le Moyne College, where she also participated in the Study Abroad Program in Warsaw, Poland.